January | 2009 | Don't Worry. We certainly haven’t forgotten what life was like just a few short months ago. We probably will always remember what it felt like to just have little Megan and to be eagerly anticipating the arrival of our little boy and to feel like we had it “great and perfect” if but for a short while. That the world continues to spin and lives go on as usual still seems utterly ridiculous. I’m trying to think of how I can end this post on a positive note, but I think it’s okay to acknowledge that we are still hurting and still sad and that we miss our little boy each and every minute of each and every day. Sure, we are doing “okay”. We can laugh, we can smile, we can find something to be happy about each day, and we can join in with the rest of the world in its inevitable spinning cycle. But I don’t think we are yet at the point were we don’t have to remind ourselves to “breathe in and out.” We sure miss Jack. We miss his smile, we miss his cries, we miss his laugh, we miss his sighs. We miss those and so many other things about him that we would be experiencing with him at this age. Each day that passes, however, brings us one day closer to him. It seems like so far away now, but I’m willing to bet that when the time comes all this pain will be forgotten by our joy. Then everything really will be great and perfect. For a long while. I have been wanting to write a post about Adam for weeks now. I have started multiple times only to quit because there are just no words that do my husband justice. 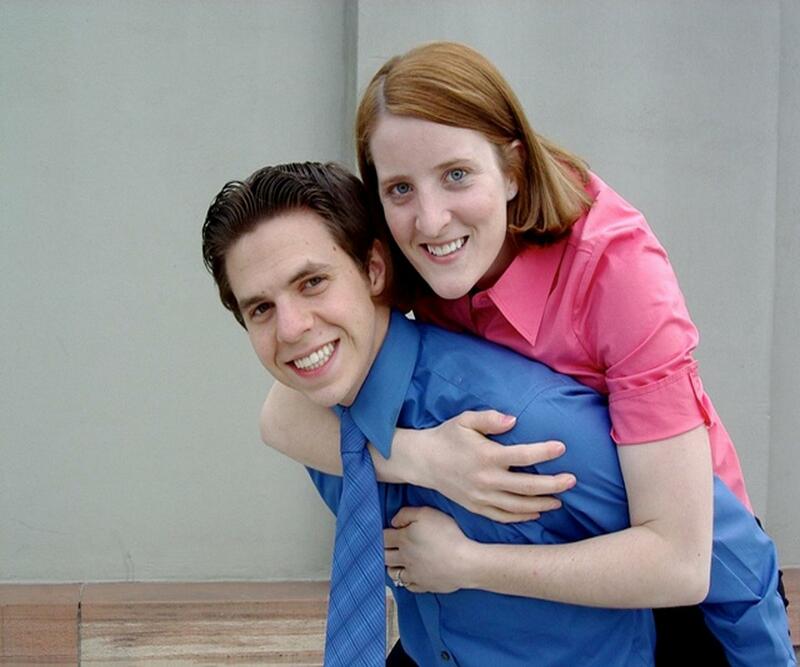 When Jack was but days old, a social worker sat Adam and me down and warned us of the stress and distress such an exhausting situation can have on couples and on their relationship. She expressed severe concern in our behalf because she knew how sick Jack was, knew how sore my body was, and knew how exhausted we all were. She made us promise to talk to her if ever our relationship was suffering any ill effects. Despite the confusion, the anxiety, the sorrow, the pain, the hunger, the fatigue: all the emotional ups an downs; Adam and I never had to battle marital stress. We have been married over three years now, and not a day has passed wherein I haven’t been in awe of my sweet husband. He is the most compassionate, selfless, and honest person I have ever known. He loves me more and treats me better than I could have ever imagined possible. Because he is so incredible to me, I strive every day to treat him the way he deserves. He is the reason why we get along so well. Why even in our darkest time and most difficult trial, our marriage was unfazed. Well, I guess that’s not true. Our relationship has definitely changed. Amidst sleepless nights, tears of sorrow, deep emotional discussions, and moments of desperation: we grew stronger. And while I have always loved Adam with all my heart: somehow that love grew. I physically hurt when I think about how sorrowful it is for Adam to have lost his little boy. There are so many wonderful daddy/son moments that he was looking forward to. I also know that Adam is struggling to find motivation to make it through his last semester of school. He dreads going and arrives home only to tell me of how difficult it was for him to concentrate. It’s so hard for him to go about the normalcy of school, when our life will never again be “normal”. I feel guilty that I have my blog, which is so therapeutic for me, while Adam doesn’t have any such outlet. I questioned him about this concern and he said his outlet is “dominating on the football field…on XBOX”. Watch out fourteen year old boys…you’ve been warned. While I have a very firm testimony of the Gospel, and gain great strength in my knowledge that my family is forever, Adam really holds me together when I am at my lowest and when the sorrow can be blinding. I don’t think anyone could comprehend how well matched we are for each other, and I will forever be grateful that he picked me to be his eternal companion. Anytime that Adam and I were hit hard emotionally during Jack’s life, and found ourselves crying about our little boy, we would say we were having a “Jack attack”. I remember many times excusing myself from the company of doctors or nurses so that I could have a “Jack attack.” And sometimes Adam would take longer then expected to run an errand, and would explain it with: “I had a major ‘Jack attack’ in the car”. After Jack passed, “Jack attacks” became more frequent. One time we were busy getting plans made and bags packed when Adam asked: “Can we stop and have a ‘Jack attack’?” And we would stop what we were doing and cry. Then we would pull ourselves together and get back to work. 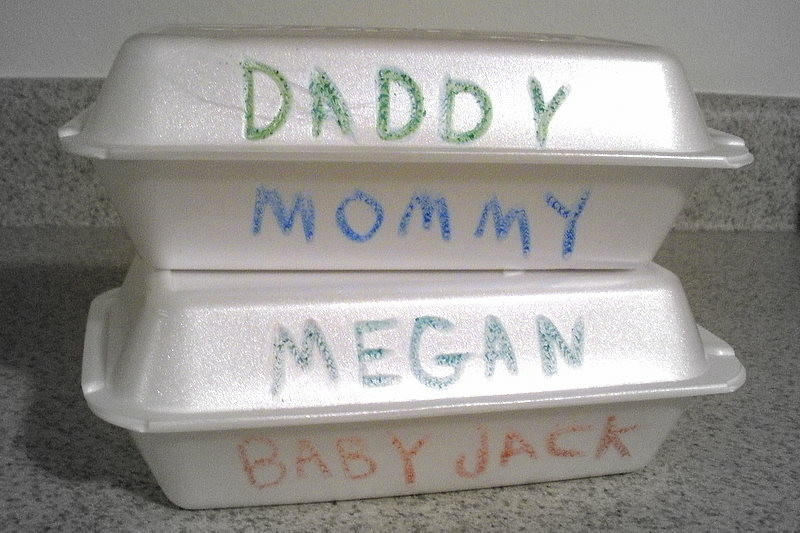 Megan never really had any big interest in Jack. In some ways her disinterest was a blessing, in other ways it was disheartening. While it was sad, we were grateful for today’s little glimpse into her understanding. What a joy she is to us. 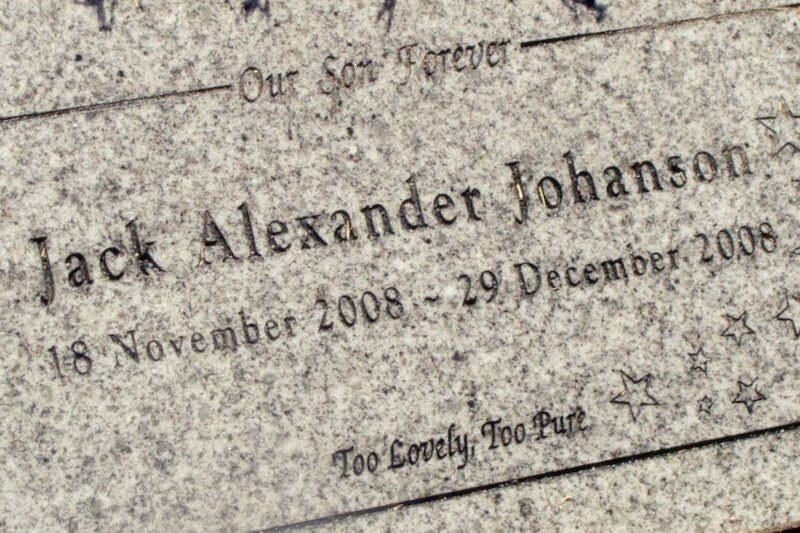 “Too pure” and “too lovely” seemed to us to be very appropriate descriptions of our little Jack. 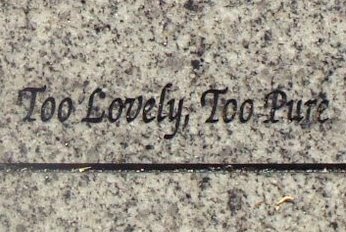 We felt good about Jack’s epitaph, and we headed out to the appointment. We arrived and got started: knowing that we wanted to also try and incorporate stars on his headstone. They gave us a book of the graphics that they had, and we were disappointed to discover that there were no graphics or designs with stars. 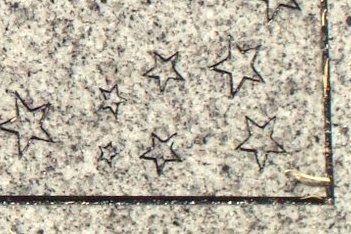 As we went through the book trying to find something else that might be appropriate for our boy, one of us said something about how we wished there were some stars. The designer heard us and said: “you know we can do whatever you want, right? We can find images off the internet if need be.” Thrilled, we snapped the book shut and got to searching for some stars. It took less time then we expected, but we were both very happy with the finished product (as happy as you can be when it’s your son’s headstone you are designing.) They told us that it would take about five or six weeks to get it completed. They would then take a picture, and mail it to us when it was put in. 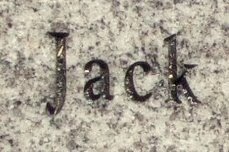 Today, eleven days later, my mom called to tell me that she had been to visit Jack, and his headstone was in. I am sad that I can’t be there to see it myself, but she said it turned out beautiful. It is just perfect for our little boy. Jack would have been two months old today. Inspired by my brother-in-law, Tyler, I have made simple videos for Megan’s birthday each year: documenting and celebrating the past year of her life. I not only wanted to do the same thing for Jack, but I was also planning on putting together a video of him as a newborn for family and friends since we are so far away. When I was pregnant with Jack, I spent a lot of time resting because I had really bad back pain. I sought out several songs that I thought would be fitting for a mother/son relationship, and as I laid in bed, I would sing them to him. Last night I was listening to my mp3 player, and one of “Jack’s songs” came on. I was reminded of how I had wanted to use that specific song for his video. 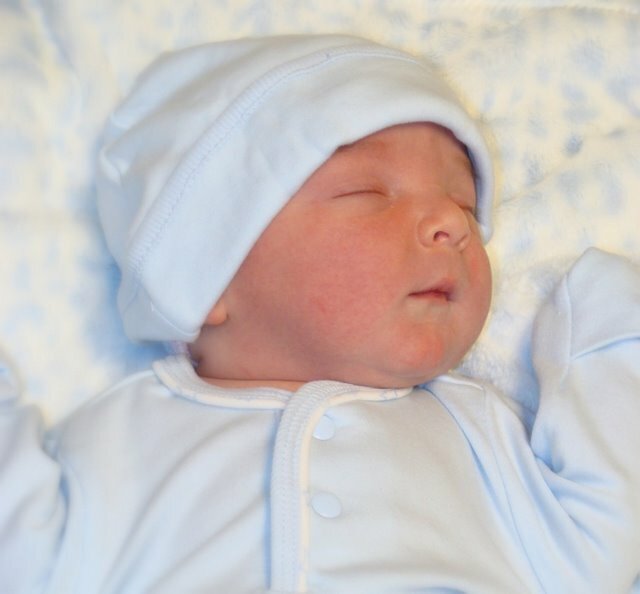 Jack’s newborn video was something that I had really looked forward to putting together. So even though it won’t be at all how I had visualized, I still decided to go ahead and make it. So here is a really simple video that celebrates Jack’s short life. “I know you’re probably wondering why we have given you a blanket. Well, I’ve heard that this particular blanket is quite magic. It has been said to calm wound-up kids, relieve fevers or chills, and most of all it is a great comforter. I hear it can even help mend broken hearts. So next time you need to be held or to hold something…cuddle up with this blanket and remember how much you are loved and thought of by your family here on Earth, by your Jack, and by your Heavenly Father. I was teary eyed just reading her note: the thought and love put into the gift was overwhelming. It wasn’t even until we got back to Iowa that I even opened the blanket. The blanket itself is beautiful. When I first opened it, I thought it was just too nice for me to use on a regular basis, and I almost put it back in its bag because I didn’t want to ruin it or get it dirty. Instead, I took the lightweight blanket and threw it over my shoulders, not really expecting to “feel” anything special. I was surprised by how heavy and warm it was and how I felt instant comfort and calm. I knew that it wouldn’t be something that was put away to be pulled out occasionally. Instead, it would always be close at hand – ready to envelop me in warmth and comfort whenever I needed it. And need it I have. Not a day has passed where I haven’t thrown the blanket over my shoulders or tucked it around my legs while I sat down and had a good cry. The blanket has stood in proxy for many people; whether it be a family member, a good friend, my baby boy, or my Savior; it takes on a different meaning depending on who has been my source of strength for the day. For example, today it was the words of a friend through a simple blog post about how Jack has touched their life. Tomorrow it might be a phone call, a sympathy card in the mail or maybe just a simple verse of scripture. Whatever it may be, Sarah wasn’t kidding. It really is a magic blanket.